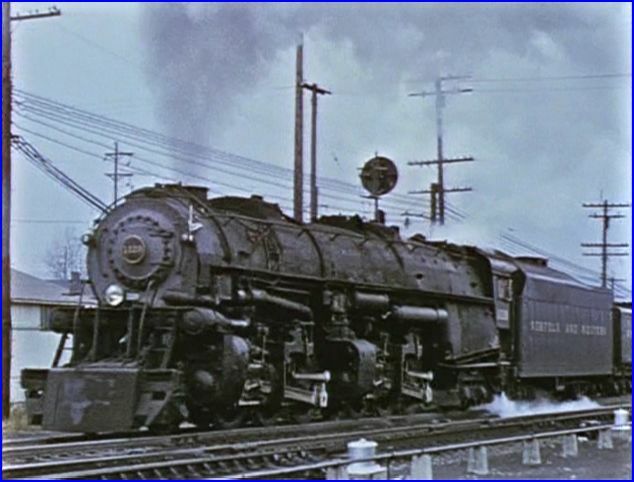 Norfolk & Western operated classic articulated steam locomotives, which were adept at many tasks on the railroad. 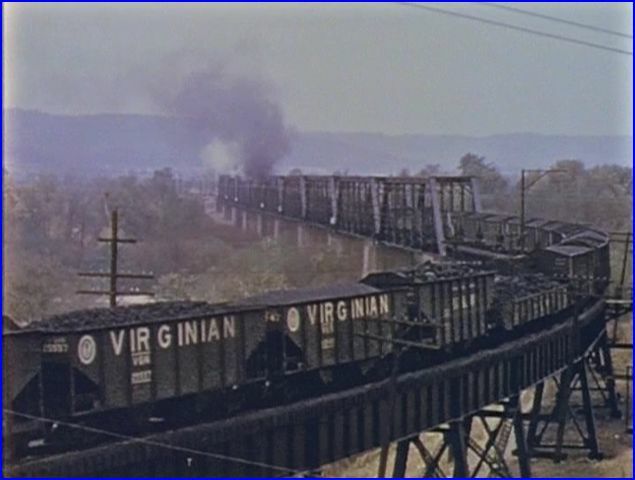 Useful in coal service, freight and passenger assignments. Anything from slow to high speed manifest freights. 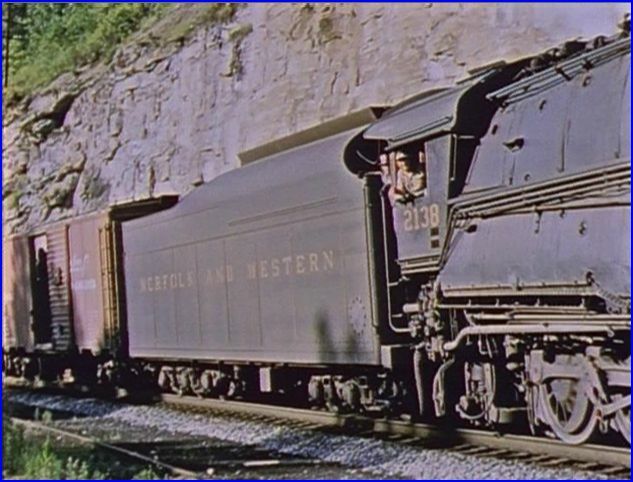 N&W held off dieselization until 1957. 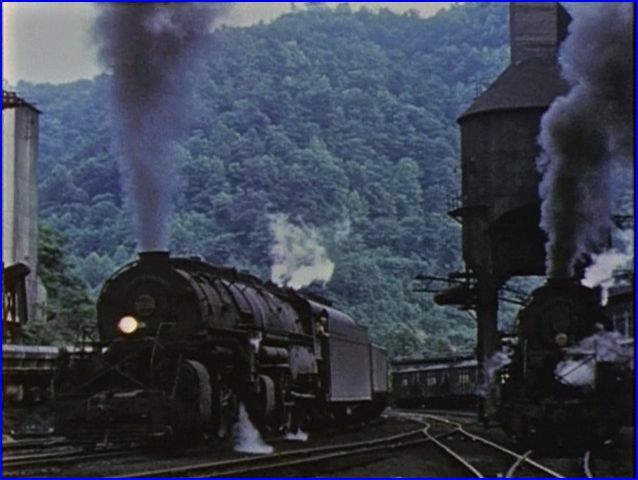 Last steam there was operated in 1960. 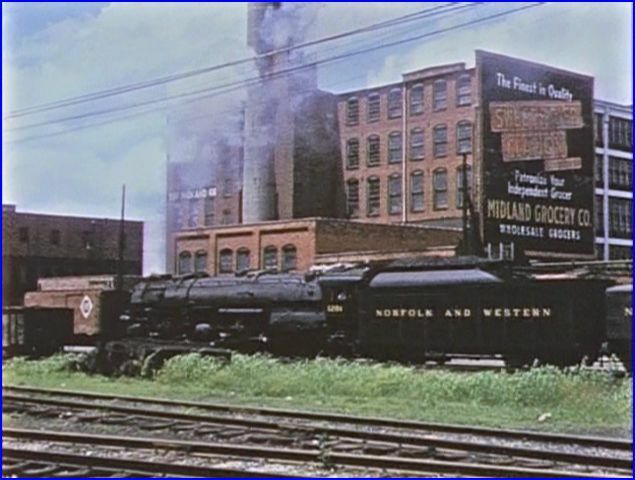 The cover artwork is titled Norfolk and Western. 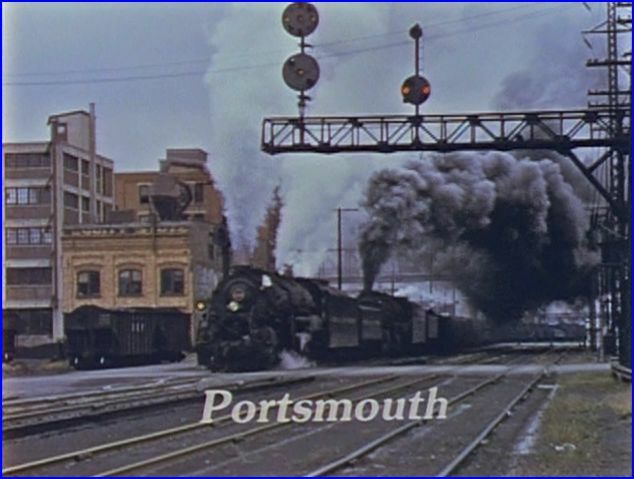 The film title displays Norfolk and Western Articulateds. NW 2104 is a Y Class leaving Powhaten. Ancient structures and 1950’s autos are nearly as intriguing as the vintage steam trains. Same train, the film looks excellent overall. Sunday River has compiled over 100 runbys of colorful action on NW. 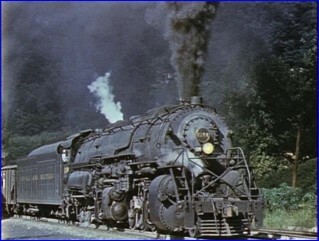 The program features the A Class 2-6-6-4 in high speed moves. 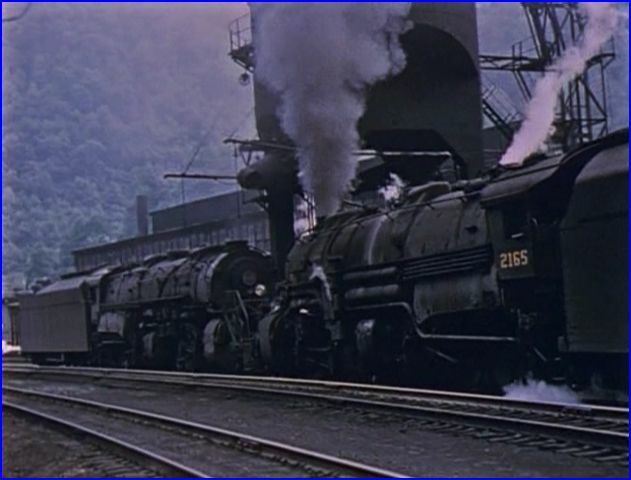 The huge Y Class 2-8-8-2 have those massive low pressure cylinders and haul their heavy trains over the Appalachians at a slower pace. The all color films were restored and look great. The camerawork is mostly excellent. A few shaky scenes are present. Special mention goes to O. Winston Link, who was the source for the vintage live sound recordings. Note, the sounds are excellent, but are not the actual trains being viewed. Originally released in 1986, it is a product of that videotape era. Narration by Alva Morrison. Script does contain good information. The narrative and musical background does show it’s age. A Chapter Menu has the A and Y Class with some location subset chapters. Digital remaster that was done in 2007. This all steam show looks excellent. Appearance is what carries the program. There are more than the two locomotive classes included. 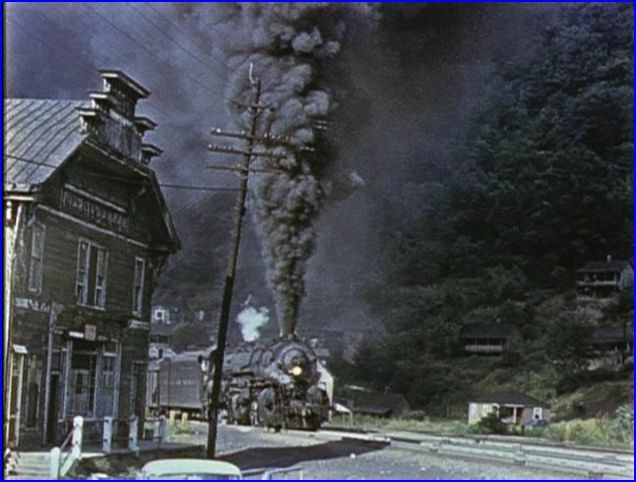 Watch for a Shay locomotive on a shortline. 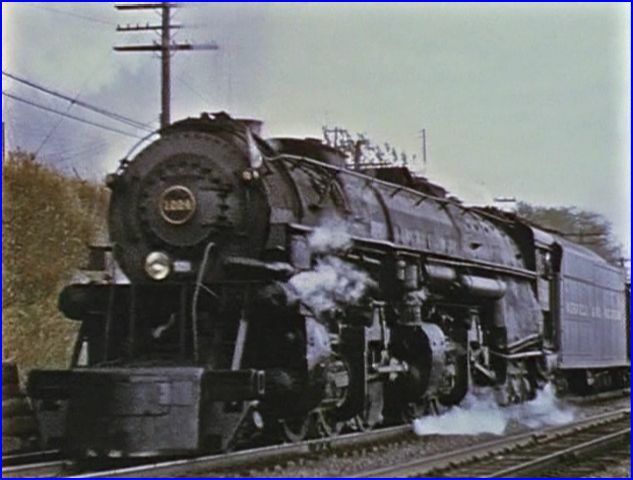 N&W Z Class and S1 switchers appear. A wide variety of locations and viewpoints keep the interest level up. Editing is very smooth, and it is a 2007 re-edit. Norfolk and Western Articulateds Part 1. Showcases the nimble A Class locomotive. 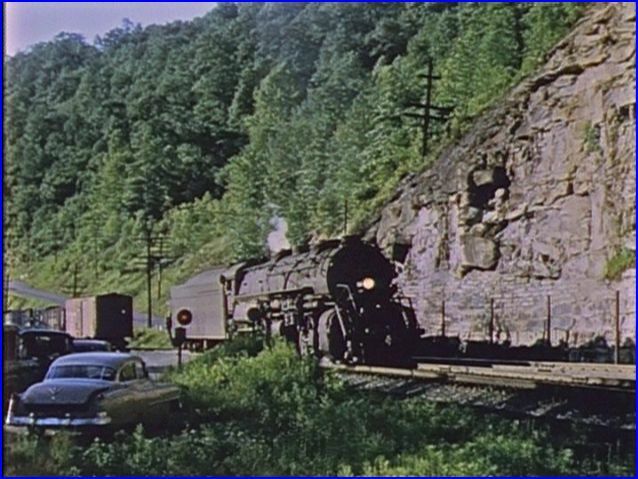 Norfolk & Western – A Class 1228 with a coal train at Vera, Ohio. Norfolk and Western Articulateds Part 2. This title contains the feature on the Y Class engine. Much of the action is around yards or in town at slower speeds. An advantage is an opportunity to study the huge compound steam engines operating. 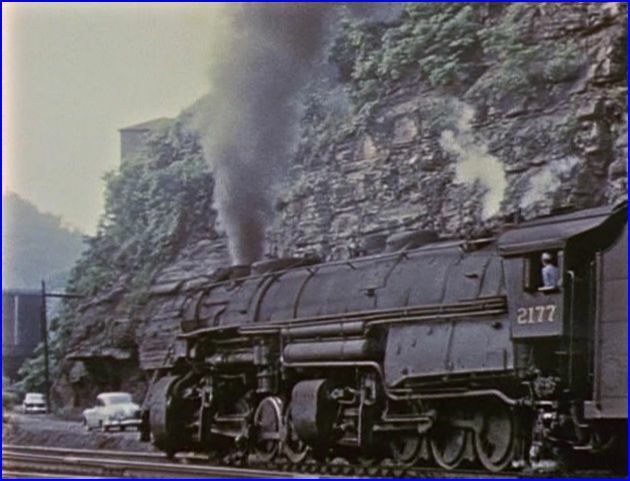 2176 is seen running on the Spice Creek Branch. On-screen graphics give many locations. No maps, but this show is an older one. Unusual wig-wag target signals at grade crossings. An awesome scene, 2165 and 2153 ease past the camera at Auville Yard. Extra 2138… Engineer and maybe the Fireman get a look at the man with a movie camera! 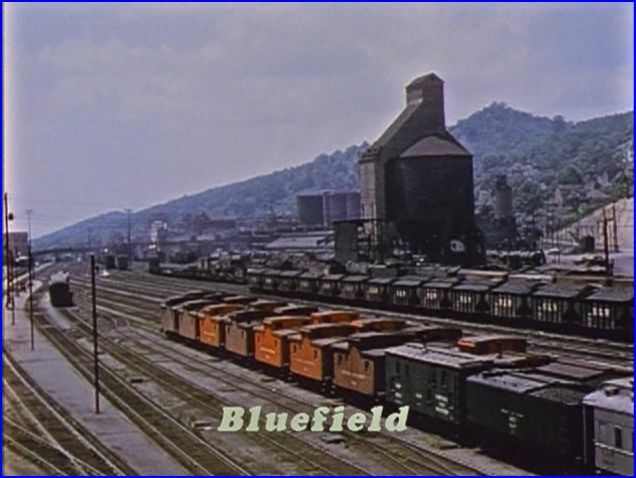 Nice pan shots of railyards and some town scenes. A far cry and much more interesting than today’s unit coal equivalents. 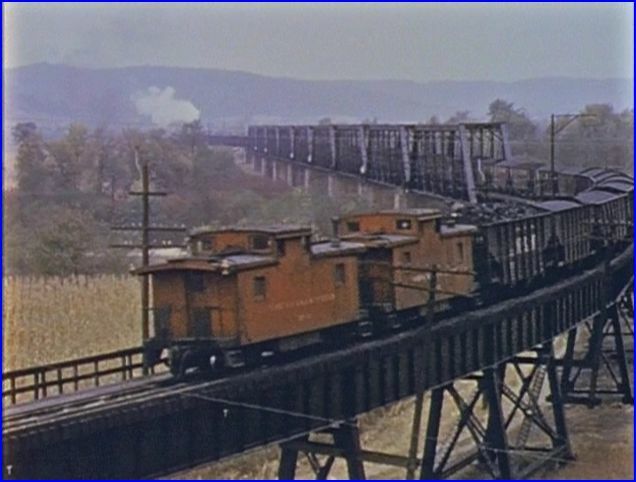 This coal train at Scioto River Bridge has mixed hoppers and gondolas. Norfolk and Western is a fine steam show. All color and a clean looking program. The 2007 update should be worth the upgrade, for those with an older release. 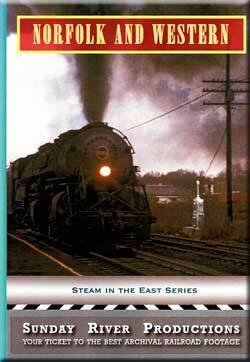 All steam fans should find this solid collection of N&W articulateds impressive. 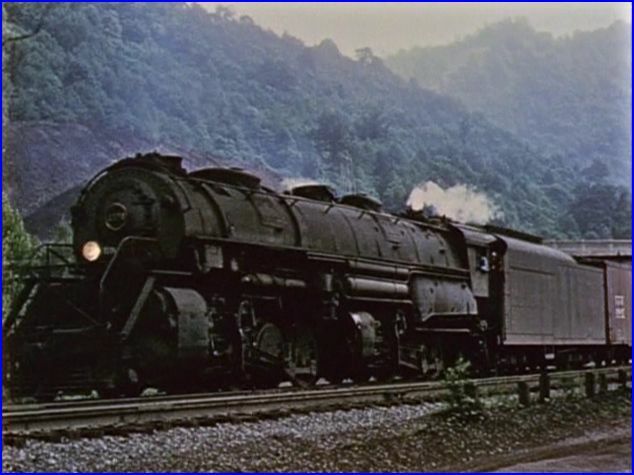 This entry was posted in Steam Train Reviews, Sunday River Productions and tagged American Train Video Reviews, Norfolk & Western, Railroad, Train DVD, train video reviews, transportation by William J. Hudson. Bookmark the permalink.